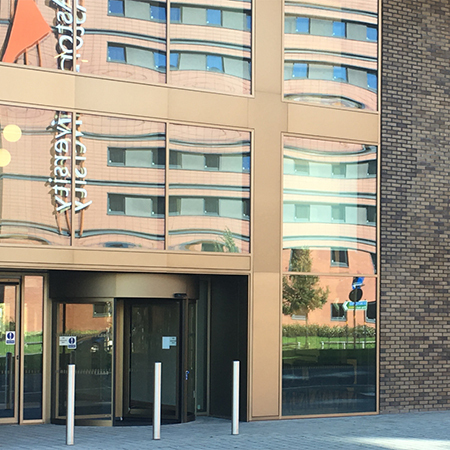 TORMAX has installed prestigious automatic revolving doors for the Royal Birmingham Conservatoire, part of Birmingham City University. The building is a £57 million teaching and performance facility that attracts internationally renowned performers and teachers, as well as the highest calibre students. 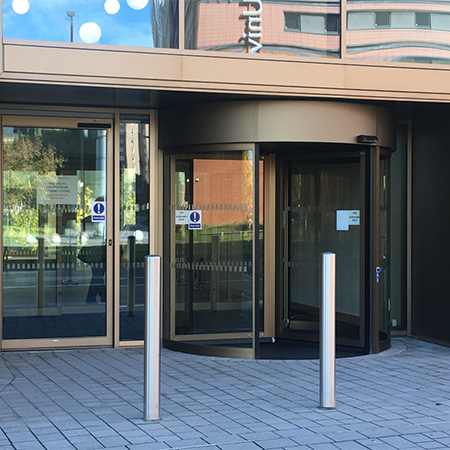 TORMAX was contracted to install prestigious automatic revolving doors to the two main entrances as well as an automatic swing pass door and set of sliding doors. 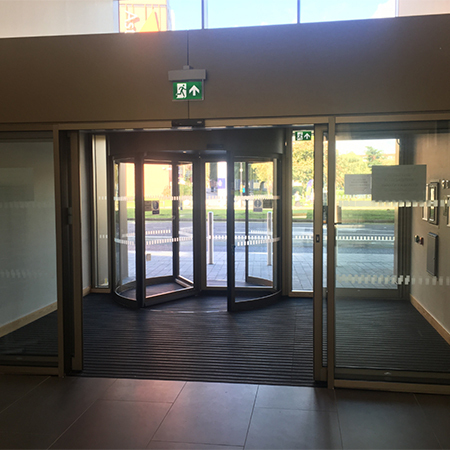 Working with main contractor Galliford Try, TORMAX created an elegant lobby by positioning a set of automatic sliding doors between the three-wing revolving door and main foyer. 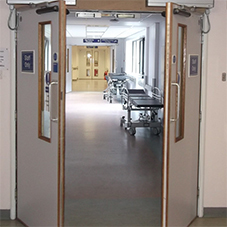 To one side of the revolving door is located an automatic swing door, offering an alternative for less able users and to make deliveries easier. This combination is intensely practical, helping maintain the ambient internal temperature by minimising heat loss from the building. 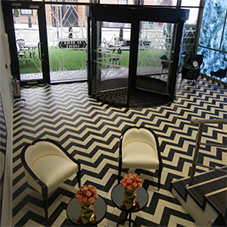 To the south of the building, another three-wing revolving door is also located. 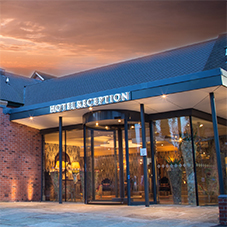 This project clearly demonstrates the full scope of the TORMAX range of technologically advanced automatic door operators. Tried and tested in busy locations worldwide, TORMAX 5251 door drives power the two revolving doors. Deliberately high torque, the TORMAX 5251 is designed for reliability, with sensors automatically adapting performance to take account of external factors, such as a build of dirt or strong winds, for example.